Do I need to have a PayPal account when paying my order? Do not have a PayPal account? Do not worry at all. 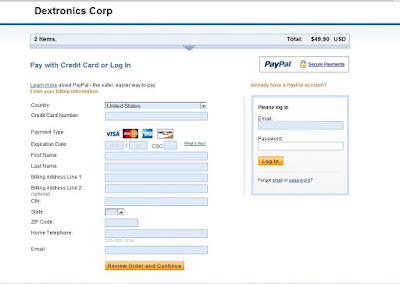 You can pay with your credit card (Visa, MasterCard, American Express, Discover) as a guest on the PayPal Page by Choosing “Pay with my credit or debit card” instead “Log in” if you don’t have PayPal account. Step 1. Tap the “Pay with my credit or debit card” in the red box below instead of "Log in". 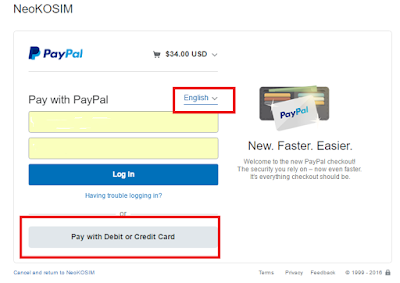 If you meet the Korean language when proceed to PayPal, choose the language option to get in English in the red box of the below. Step 2. Fill in the details of your credit card and billing details and then tap ‘Pay” yellow button as below. Step 3 : Once your transaction has been completed, you will have the “Thank for your order” from us or Information email of Receipt about your payment to NeoKOSIM from PayPal. 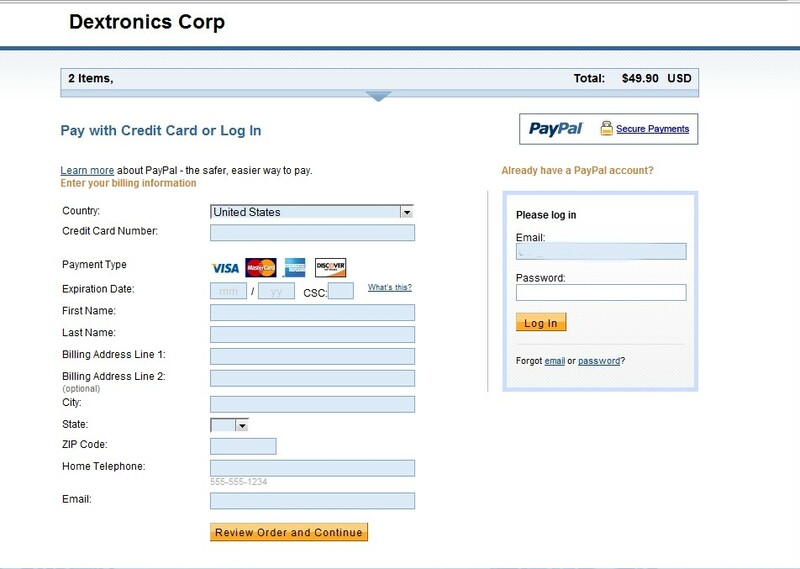 If you meet another kinds of payment form like Step 3 above, your payment has to be completed by using your PayPal account only. Because PayPal has different products and controls for different markets/countries and they works to comply with all applicable laws and regulations in every market PayPal operates in. 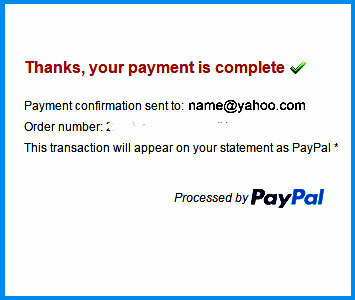 If you want to pay via PayPal with a Korean credit card, this is not possible. This is because PayPal's Korean sales policy is not allowed. In this case, you can order from Naver Shopping Mall (N Pay 구매하기) which is specified on the homepage.